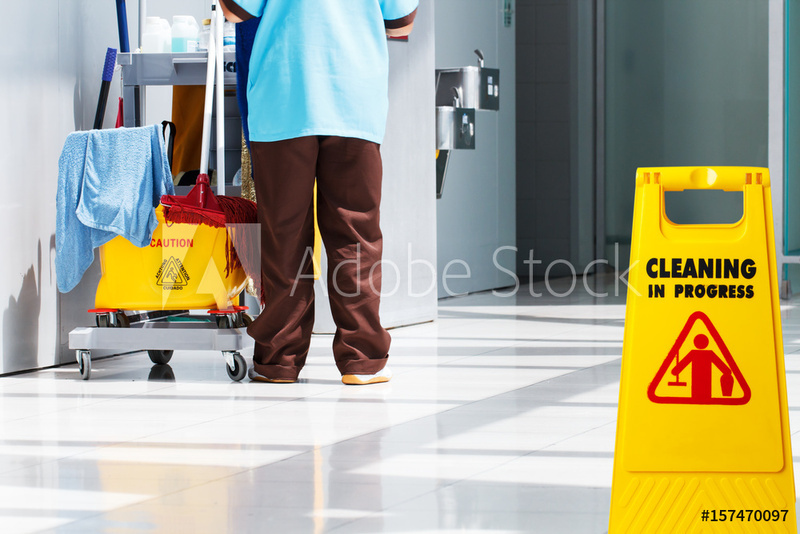 Janitorial Maintenance Cleaning – Amazingly Clean, Inc.
Commercial settings will benefit from our vast array of services we offer. Whether hard surface or soft carpet cleaning is required, we can professionally clean it all. Start it off right by first calling us to get informed on what cleaning or refinishing you will need for the floor type. Not all floors are alike, take vinyl for instance; there are numerous varieties that require different cleaning procedural methods. We are available for new location cleanouts and maintenance cleaning which require more frequent scheduling. Call us first. Sometimes, mop buckets are just not enough and can’t cut it. We love to show just what electrical and propane driven machines “can do to amaze you”! I completely recommend Amazingly Clean, Inc. for all your cleaning needs. I have been using their services since June 2011 for cleaning jobs here at St. Francis, and I have never been disappointed in either the quality of the work or the amount I’ve paid. Amazingly Clean, Inc., and his team are dedicated and professional. They arrive on time for scheduled appointments, and they always have the proper materials to get a job finished. And, most importantly for a cleaning crew, the place actually feels clean when they’re done. They have done an absolutely wonderful job for us, from stripping and waxing 4500 square feet, to making our 30-year-old bathroom tiles look almost new again. They have also cleaned our metal roofs, and carpet in our priests home which is almost 30 years old, making it look almost new. Amazingly Clean, Inc. is easily the best cleaning company around. If you need a professional company to work with, they are the ones to work with. Please feel free to contact me with any questions or concerns. Amazingly Clean Inc., has been providing cleaning services to Little Sunshine Preschool for over three years. Our center has 10 classrooms which the owner personally cleans on a weekly basis, including tile floors and carpets. We have been extremely satisfied with their professionalism and performance, and would highly recommend Amazingly Clean to anyone interested in a professional cleaning company.